If you’re someone who likes being out and about in the city, a power bank becomes an indispensable commodity. Mobile Powerbank play one of the most important role in our daily usage of life. Now We don’t need to wait for electricity charge the mobile. use of the mobile power bank we can easily charge the when your mobile battery is down. Concept has been developed along with the rapid growth and popularization of digital products, and its definition is: portable power supply which is easy to carry with large capacity.Mobile Power Bank have become a necessity in our fast paced lives. Socheko.Com is home to the world’s biggest headphone brands you can possibly imagine. How often do we feel like switching off from the chaos around us. Choose from Samsung, Philips, Mi, Sony, Sikko and Syska power banks among others. Filter among battery type, connector type, compatible mobiles and capacity. 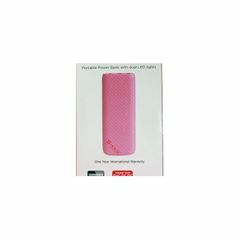 we have many power bank in many color with the 10000MAh,15000MAh,20000MAh capacity. Buy the genuine Mobile power bank at Best price of Nepal in Socheko.Com online shop We can deliver the product as soon as possible. In Kathmandu valley we can deliver the product in two hour and for the order of outside valley or Kathmandu we take 1 day to deliver the item. You can easily trust to us because Socheko.Com is promoted by Nepal’s renowned business group who has been in Nepal business arena for last 20 years. We have understand value of customer and always believe on customer comes first. Socheko dot Com provide you the most genuine mobile power bank at Best price Nepal. It becomes an indispensable commodity when you being out and about in the city. Now you don’t have any problem when mobile battery is empty because by using the mobile power bank you can easily charge the mobile in anywhere so buy the power bank from Socheko.Com and make your life happy.